The Overwatch League quarterfinals start off with an unexpected twist. 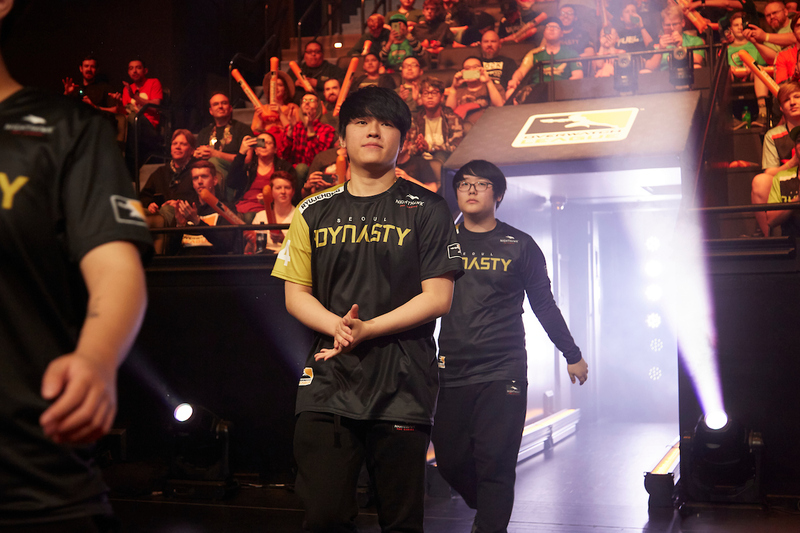 It was supposed to be a quiet, predictable night in Overwatch League quarterfinal games. The second-seeded New York Excelsior, undefeated in the regular season, were pitted against Seoul Dynasty. Coming in with a 4-3 regular season record, the analysts didn’t have faith in Seoul. Unfortunately for NYXL, Seoul came to play the spoiler. In a stunning upset, Dynasty defeated the New York Excelsior 3-1 in the first match of the quarterfinals. This win comes a day after Seoul was swept in a tiebreaker match by San Francisco Shock, who Seoul tied with for sixth place in playoff standings. The Dynasty were even utilizing what some analysts have dubbed their “B Team,” a squad of players that aren’t in the normal rotation. Dynasty’s relatively-unknown damage dealer, Kim “Fits” Dong-eon, dominated on the first map along with substitute main tank Hwang “Marve1” Min-seo. Seoul seemed to be running a composition created solely to eliminate NYXL’s lethal support player Bang “JJoNak” Sung-hyeon. As JJoNak repeatedly fell, Seoul was able to capitalize on the space created to take out his team. With this strategy, Seoul nearly completed a 3-0 map sweep. A wonderful D.Va Self-Destruct from NYXL off-tank Kim “MekO” Tae Hong in the last moments of a multiple-round Volskaya Industries map kept his team in the match. Renewed pressure from NYXL onto Seoul’s expert Sombra player Choi “Michelle” Min-hyuk nearly gained them the upper hand on final map Rialto, but it wasn’t quite enough. Seoul Dynasty now moves on to the semifinals of the Stage 1 playoffs, which air March 23.